All funds raised, including entry receipts, for the Scottish Portrait Awards are used for the purposes of SPA prizes, promotion, or related education programmes. All SPA administration is at cost and supervisory support is entirely voluntary. In accordance with the Data Protection Act, 1998, the SACCT will hold all personal data securely. It will only be used in the process of administering the SPAs, and will not be transferred to any third party. By 31 July 2019, all entrants selected for the SPA exhibition will have been contacted by phone or email. At least 30 fine artists and 30 photographers will be selected as well as nominated Young Artists. On 1 August 2019, the fine artists and photographers selected for the exhibition will be posted on this website. By end Sunday 13 October, all works selected for exhibition should have been delivered to the collection venue at 19 Atholl Crescent Lane, Edinburgh EH3 8ET. On 28 October 2019, five short-listed fine artists and five short-listed photographers will be announced through a press release and on this website and invited to attend the awards presentation on Wednesday 30 October. On 30 October 2019, the 2019 Scottish Portrait Awards will be presented. On 1 November 2019, all exhibitors in the SPA Fine Art exhibition will be invited to attend the fine art preview. On Saturday 2 November 2019, the SPA exhibition will open to the public. It will be held at the Scottish Arts Club, 24 Rutland Square, Edinburgh and open Tuesday to Saturday (closed Sunday and Monday) until Saturday 30 November 2019..
After the Edinburgh exhibition closes on 1 December, all works will be packed and taken to Glasgow. The Glasgow exhibition at the Glasgow Art Club will run from 21 January to 9 February.2018. The dates for 2019 are still to be confirmed. Following the Glasgow exhibition, all works will be packaged and delivered to Kirkcudbright. The SPA exhibition will run from 14 March to 24 May 2020 in the Kirkcudbright Galleries. All works will then be returned to Edinburgh for collection at the Scottish Arts Club. All works accepted for the exhibition must be available for the entire exhibition run, to May 24 2020. The competition is open to all artists who were either born in Scotland or, at the time of submission, were studying in Scotland or had their primary residence in Scotland. Artists whose work is selected for exhibition may be asked to prove their eligibility for the competition. Artists entering the competition must be aged 16 years or older by 1 October 2019. Artists applying for the Young Artists Award must be over 16 and under 25 years on 1 October 2019. All artists applying for the youth awards (fine art and photography) will also be eligible for the main awards. If an artist under 25 is selected for a major award they cannot also win the youth award. Entrants who are under 18 years must have the approval of a parent or guardian over 18 years and may be asked to submit evidence of that approval. Artists may choose to enter in either or both of the fine art and the photography competitions. Each artist may enter as many times as they wish in each of the competitions (fine art and photography). Current or former members of the Scottish Arts Club are not eligible for the offer of one year free membership from the Scottish Arts Club and neither are youth award winners under 18 years. The subject of the portrait must be known to the fine artist/photographer and have given their permission for their portrait to be submitted for the competition. All works entered for the competition must be the artist’s own work and must be portraits. ‘Portrait’ may be interpreted in its widest sense. The subject may be one or more people. Animals may also appear in the portrait as long as the primary subject is human. Works entered for the competition should not have been previously exhibited in Scotland. ‘Exhibited’ means that the work should not have been displayed in a theatre, bookshop, festival or exhibition space or any other public space in Scotland. The only exception to this rule concerns works that appeared in degree shows or other education-related or socially-supportive exhibitions. If in doubt please contact sara@scottishportraitawards.com. If the same work is entered in another competition and it is selected for exhibition in Scotland before November 2019, the work must be immediately withdrawn from the SPAs. The entry fee will not be refunded. Work that is accepted for exhibition will not be released until all exhibitions have been completed. If the work you are entering for the SPAs is on social media you should not mention that it was entered in the SPAs until after the list of exhibiting artists is released in August. Artists whose work is selected for the exhibition may share the information immediately and as often as you wish. We ask all exhibiting artists to help us promote the SPAs by tagging their work @scotportrait. The decision of the judges is final and no correspondence can be entered into. All works are judged on an equal and anonymous basis. We ask for artists to cover their signatures in digital images for the initial judging phase. The final judging and selection of shortlisted artists only occurs after the works have been hung. We do not require signatures to be covered at this stage. Be assured that the judges look at and discuss the power and quality of the image, and the technical skill in execution - not at the signatures. All notifications from the SACCT to artists regarding receipts, submissions and collections will be via email. The SACCT reserves the right to disqualify any piece of work at any stage of the competition if the artist has not adhered to the rules. Anyone who enters the competition who is not eligible or is disqualified for non-compliance with the rules of the competition will forfeit their entry fee. Artists, or their representatives entering the SPAs, warrant that they are fully authorised and entitled to enter into the agreements contained in these Rules, in respect of all rights in the work including ownership, copyright, moral rights, the rights of the people, names, trademarks, designs or works of art depicted and that no further permissions or conditions are required to deliver these agreements. The first round of judging will be completed digitally. It is therefore important that the digital image sent by the artist is of a high quality. For advice please read our Photographing Artwork Guide. In addition, artists should prepare one high-resolution photograph of the complete work for use in the catalogue if the work is selected for exhibition. The higher resolution image should be A3 size (29.7 x42 cms or about 3500 x 4900 pixels) and 300 DPI. Artists should not send this higher quality image with the entry form. Artists will be informed if they should submit the higher-resolution photograph. Images of artwork submitted for the awards should not show a visible signature. See the Photographing Artwork guide for more information. Entry to the SPAs is via donation to the Scottish Arts Club Charitable Trust of £10 per artwork submitted and may be paid via credit/debit card, PayPal or cheque. Artists choosing to pay by credit/debit card or PayPal should click the payment button on the Enter the SPAs page. This will link artists with the Charities Aid Foundation (CAF) website where the payment is processed. Please note also that entry fees paid for the SPA competition do not qualify for Gift Aid so this should be declined. Artists choosing to pay by cheque should make these payable to the Scottish Arts Club Charitable Trust and sent/delivered to: Scottish Portrait Awards, Scottish Arts Club, 24 Rutland Square, Edinburgh EH1 2BW. Artists should write their email address and title of their work on the reverse of the cheque. 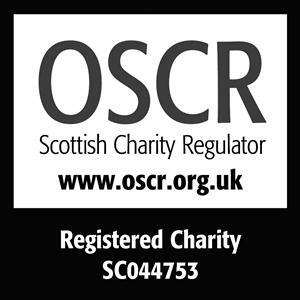 Entries and fees must be received by the Scottish Arts Club Charitable Trust (SACCT) by 23.59 hours on Saturday 30 June 2019. Confirmations will be sent to the artists confirming receipt of the entry fee, digital image and entry form. Judges will be at liberty to remove works from the exhibition that do not conform to standards indicated in the digital submission. Artists or their representatives who enter the competition agree that the works submitted may be exhibited as part of the Scottish Portrait Award 2019 exhibition at any venue. Up to 30 fine art submissions and 30 photographic submissions will be awarded a place in the Scottish Portrait Awards Exhibition to be held in Edinburgh, Glasgow and Kirkcudbright, as described above. Any information about the work provided by the artist on the entry form will be kept away from the judges until after the judging process is complete. The judges only possess the image and title of the work, its size and medium when they undertake the first round of judging..
Short descriptions of the work included in the entry form may be used in the exhibition catalogue. The organisers of the SPAs reserve the right to edit descriptions provided by artists for use in the catalogue and to promote the exhibition. Artists whose work(s) have been selected for exhibition will be notified by 31 July 2019. Artists selected for the exhibition will receive an invitation for themselves and a guest to one of the preview events on Thursday 31 October 2019 (photographers) or Friday 1 November 2019 (fine artists). The cost of travel and accommodation for these events is the responsibility of the artist. Artists short-listed for prizes (five fine artists and five photographers) will also be invited to attend the Scottish Portrait Awards Presentation on Wednesday 30 October. The exhibition at the Scottish Arts Club will be open to the public from 2.30 pm to 5.30 pm, Tuesday-Saturday beginning Saturday 2 November 2019. Access to the photography exhibition will be limited during lunch. The responsibility for damage or loss, however and whenever caused, is the responsibility of the artist. Artists are therefore advised to arrange adequate insurance cover against such risks. The sponsors, the carriers, storage facility, the judging venue, the touring venues, any other subcontractor or the SACCT shall not be liable for any loss or damage, whether or not caused by their negligence. We will do our best to ensure all works are protected. If your work is especially fragile pleae help us to ensure it is properly protected by supplying appropriate packaging. When artists have supplied strong packaging we ask it to be clearly identified and promise to do our best to ensure it is used to protect their work throughout, especially during transportation. Works selected for exhibition must be delivered to the collection venue at 19 Atholl Crescent Lane, Edinburgh EH3 8ET at a date and time to be confirmed. Artists are responsible for ensuring their works are delivered at the appropriate time and day. Please note that the SACCT cannot acknowledge receipt of artwork sent by post. Applicants requiring proof of delivery by post are advised to use a recorded delivery service. If a courier is shipping works, artists must take full responsibility for all costs. The artist should not tick the box advising the courier company to bill the recipient. Equally on the return of any work the artist should not tick the box indicating that the sender will pay the transport. The SACCT will not cover these costs and will instruct the shipper to contact the artist directly for payment. If works are being sent from abroad, it is the artist’s responsibility to check with their courier company that their paintings/photographs have cleared Customs and have been delivered on the required dates. The artist is responsible for any import Customs charges and duties if works are being shipped from abroad. After the Edinburgh exhibition closes on 30 November, all works will be packed and taken to Glasgow for exhibition at the Glasgow Art Club and from there to Kirkcudbright. Works will be returned to Edinburgh for collection by the artist. All arrangements for collection and the cost of returning works after exhibition is the responsibility of the artist. Works selected for exhibition cannot be removed before the end of the exhibition. The SACCT will provide bubble wrap to wrap all works at the end of the exhibition. Any other packaging must be provided by the artist. Artists relying on couriers to collect their work must advise the courier of the need to provide additional packaging materials and to pack the items. Artists are responsible for all courier costs including packaging. The SACCT will not arrange courier collections or post works on behalf of the artist. Any paintings that remain uncollected may be charged a storage fee. In order to release paintings from storage, all charges must be paid in full. The SACCT reserves the right to dispose of or destroy any work not collected one month after the latest date for collection of exhibited works. The copyright for all works exhibited will remain the property of the artist, but it is a condition of entry that the artist or their representatives agree unconditionally that the SACCT may reproduce any exhibited works, free of charge, for the purposes of marketing, promotion, merchandise, discussion and education in direct connection with the Award and exhibition, in all media worldwide including the exhibition catalogue and subsequent publications, posters, prints, postcards, the internet and within television documentaries, and may license these specific, limited rights to others only for the same purposes. The SACCT also reserves the right to reproduce selected images free of charge for core non-commercial purposes. Some processes of the competition may be filmed, and entering the competition constitutes agreement for a portrait to be included in such filming, whether broadcast or not. Artists will be credited for the use of their work, wherever practicable. It is also a condition on entering the competition that the artist agrees that visitors to the Scottish Arts Club are permitted to take photographs of their work for personal, non-commercial use during the run of the exhibition. Sales of works during the exhibition will be permitted with 30% commission payable to the exhibiting gallery. Artists whose work is for sale must provide the cost by 1 August 2019. Fine art entries may be in any medium and in 2D or 3D. Artists may submit paitings, sculptures, fine art photography in colour, collage, multi-media and works in any other medium provided they fit the size constraints and other rules. Although the work should begin from life, portraits that are more conceptual or contemporary in their approach are as welcome as more traditional portraiture. All portraits submitted should have been created from life in the first instance and completed after 1 January 2015. Following the first sitting it is acceptable to use photographs or sketches as a reference. Photographs of the fine art work submitted for entry should be a single image of the entire work. Artists may also choose to submit a second photograph showing a detail of the work and submit both images with their entry form. Artists submitting 3D works may submit one image of the entire work and up to two other images showing details or alternate views of the work. All 2D works entered for the Fine Art Award should be ready to hang and display. Artwork will be judged anonymously. 2D works should not be signed on the front. If the work is already signed, please cover the signature before taking the photograph that you send with your entry. 2D submissions for the SPA Fine Art Award should be no smaller than 30cm x 30cm (unframed) and no larger than 150cm by 150cm when framed. 3D works should be self-supporting and range from actual life-size (eg head-only) to maximum of 100cm(height)x50cmx50cm. The exhibition space cannot accommodate triptychs unless these fit within the overall size guidelines above. Full instructions for installation of the work should be included in the entry form. All photographs submitted for competition must be in black and white. If you enter a colour photograph we will enter the image in the SPA Fine Art competition instead. Photographs selected for the Photography Award exhibition must be delivered framed and mounted, behind glass. Photographs submitted to the exhibition should be no smaller than 28cm x 31cm (without frame) and no larger than 65cm x 65cm (with frame).